Randee Roucoulet, CPA, is a partner at Simone Macca & Larrow LLP. Randee has over 20 years of experience in providing tax and accounting services throughout a wide variety of industries. She has been involved in all aspects of engagements from budgeting and scheduling to financial statement preparation and interaction with management. 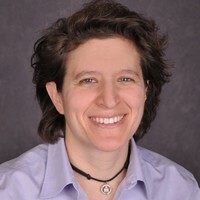 Ms. Roucoulet is a member of the American Institute of Certified Public Accountants and the Connecticut Society of Certified Public Accountants where she has served as the chair of the technology committee. She is also involved with a nonprofit greyhound adoption group where she serves as treasurer. Ms. Roucoulet received her Bachelor of Science Degree in Accounting from Bryant College.